This is the article in case you are having difficulty reading it from the article above. If you’re looking for a family style outing, there’s a great spot you may want to check out when making your prospecting plans. 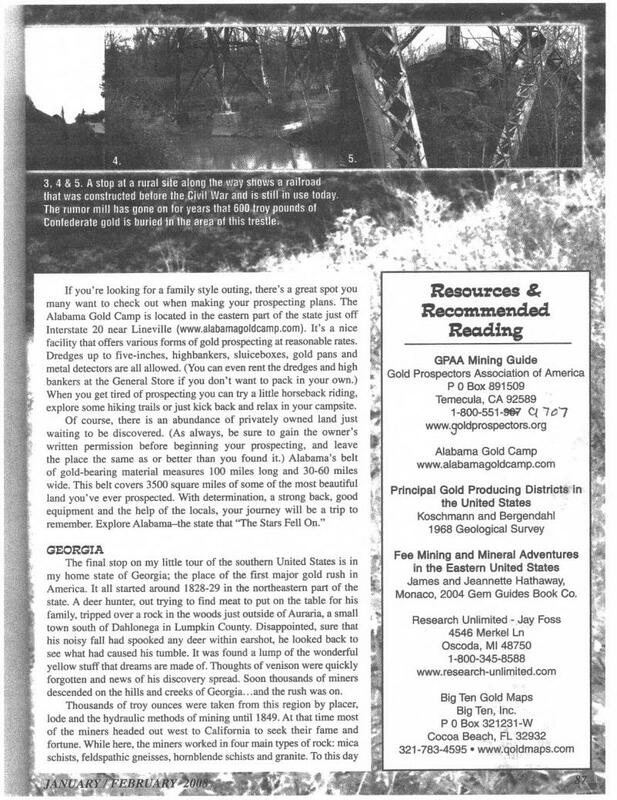 The Alabama Gold Camp is located in the eastern part of the state just off Interstate 20 near Lineville (www.alabamagoldcamp.com). 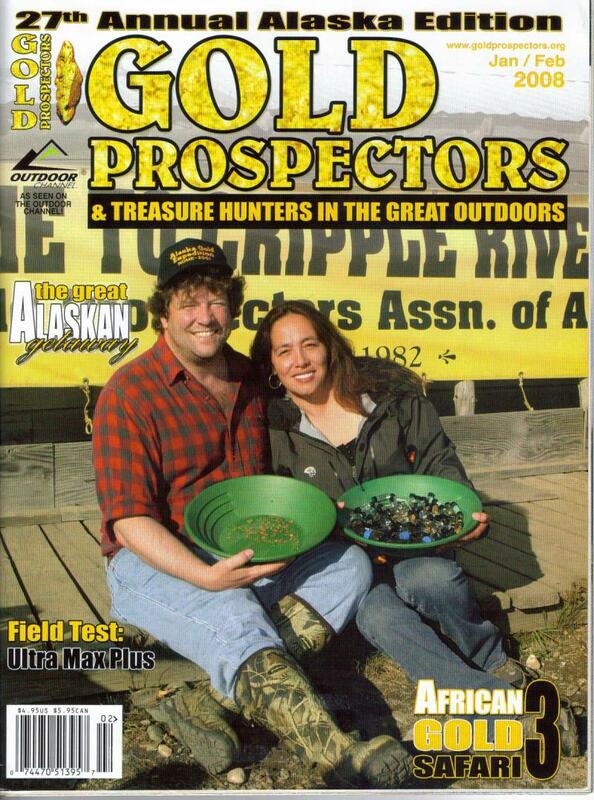 It’s a nice facility that offers various forms of gold prospecting at reasonable rates. Dredges up to five-inches, Highbankers, sluiceboxes, gold pans and metal dectors are all allowed. (You can even rent the dredges and high bankers at the General Store if you don’t want to pack in your own.) When you get tired of prospecting you can try a little horseback riding, explore some hiking trails or just kick back and relax in your campsite.